Yet contrary to popular belief Hallowe’en does not have its origins in a celebration of evil but in an ancient celtic harvest festival of thanksgiving. The Celts split the year up into only two seasons: winter, which ran from November to the end of April, and summer, which ran from May to the end of October. They called the festival ‘Samhain’ (pronounced sow' an) meaning ‘Summer End’ and celebrated ‘The Feast of the Dying Sun’ by giving thanks for the year’s harvest, a Celtic equivalent of New Year's Eve. Samhain marked the third and final harvest and the storage of provisions for the winter. It was a solar festival consisting of fire rituals and large bonfires that would be lit in honour of the sun, a tradition that still survives today as ‘Bonfire Night’ or ‘Bone Fire Night’ as it was originally called. The Celts believed that on the eve of Samhain the dead rose out of their graves to wander freely about the earth and make trouble by harming crops and causing domestic disturbances. The veil between the worlds of the living and the dead was believed to be at its thinnest point in the year at Samhain, making communication between the living and the dead much easier. At the same time of year that the Celts were celebrating Samhain, the Romans celebrated the festival of Pomona, the goddess of orchards and the harvest. Apples and nuts were among the special foods used and these retained a place in surviving Halloween festivities. When the Christian Church set out to convert followers of pagan religions, church leaders astutely saw that they would have an easier time if they incorporated existing holy days and rites into their own. Worship of pagan deities was translated into veneration of the Christian saints. In the 7th century Pope Boniface IV introduced All Saints' Day to replace the pagan festival of the dead on May 13, 610, when he dedicated the Pantheon in Rome to St. Mary and other martyred Christians. Later, Gregory III reestablished the festival to honor the saints of St. Peter's Church and changed the date from May 13 to November 1 to coincide with pagan festivals. (Presently the Greek Orthodox Church still observes it on the first Sunday after Pentecost.) Later in 834AD, the Christian church adopted Samhain and renamed it ‘Hallow Tide’, ‘Hallow’ meaning ‘Holy’, Pope Gregory IV made the festival official, to be observed by all churches. 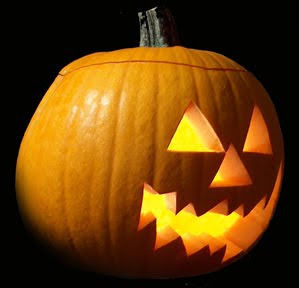 So 31st October was named as ‘All Hallows’ Eve’, which later became known as ‘Hallowe’en’. Church bells would always be rung on Hallowe’en night in order to guide lost Christian souls back to the sanctuary of the church and at the same time, drive evil spirits away. The annual ringing still takes place at Milton Abbey, Milton Abbas. Hone is responsible for the statement that "At Blandford Forum, in Dorsetshire, 'there was a custom, in the papal times, to ring bells at Allhallow-tide for all Christian souls.'"" This assumes that this custom exited practically alon at Blandford. Hutchins does not notice it; and I have very grave doubts myself whether this statement of Hone can be accepted as justifying this assumption. Brand states (i,310) that"it is stated in Kethe's sermon preached at Blandford Forum in Dorsetshire, January 17th, 1570, p.19, that 'there was a custom, in the papal times, to ring bells at Allhallow-tide for all Christian souls'." He thus shows the authority for Hon'es statement, which is contained in a sermon preached at Blandford in which this allusion to a very general custom appears to have been made. Instead of sacrifices, the Church promoted honoring the dead with prayers. Food and wine offerings were replaced with soul cakes, little square buns decorated with currants. The cakes were given away to the village poor, who in turn would pray for the dead. "Soulers" would walk about begging for cakes. The Christian Church also allowed masquerading but emphasized that it was to honor dead saints and not to frighten off spirits. One Dorset Ghost is said to return to haunt the village of Halstock this night, at one hour after midnight. The headless ghost of Saint Juthware is said to be seen carrying her head in the lane leading to Abbots Hill now know as Judith Hill (see The Quite Woman Legend). The silent guardians - From Skulls to Stone Heads to Jack O' Lanterns. In ancient times the importance of the skull as a sacred symbol originated in archaic beliefs identifying the cranium as the seat of the soul and the link with the world of spirits, hence their use as a protection against evil. In folklore we still see the relevance today as with the Skull of Bettiscombe Manor (see Bettiscombe Skull legend). Carved stone heads were made according to the same tradition of offering protection in hope of dispelling evil spirits from the threshold of buildings and sacred sites, as long as they were treated with respect. The sacred heads were feared so much that many would not even speak of where the heads lay for fear of bad luck. Stone heads were also used for guardian and luck purposes and can still be seen to this day around Britain, two of which were discovered by Jim Chaplin in 1969, when land was being cleared for the construction of Rockway, Shipton Gorge and are now displayed in the Dorset County Museum. This tradition of a symbolic guardian to the house is carried on today in the form of the surviving Hallowe’en custom of carving images on Jack O' Lanterns. This dates back to when the display of ancestral skulls were replaced by the old custom of using hollowed out turnips, beets or manglewurzels. Candles were used to create grotesque lanterns as a protection from evil. The Irish who immigrated to America found pumpkins a suitable substitute for turnips and beets and these have been an essential part of Halloween celebrations since Victorian days.